Oxfam is the world’s leading expert on supplying water to people in emergencies, utilising specially designed flat-pack water tanks and taps to save and change lives in refugee camps and disaster situations around the world every day. 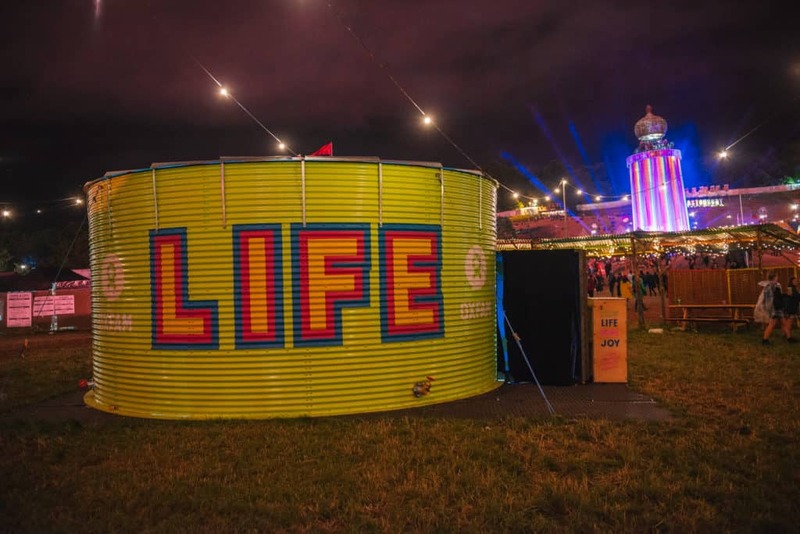 In 2017, 59 Productions enabled Oxfam to bring their humanitarian work to life for visitors to the world-famous Glastonbury Festival by bringing a uniquely adapted water tank to the Park Stage area of the site. 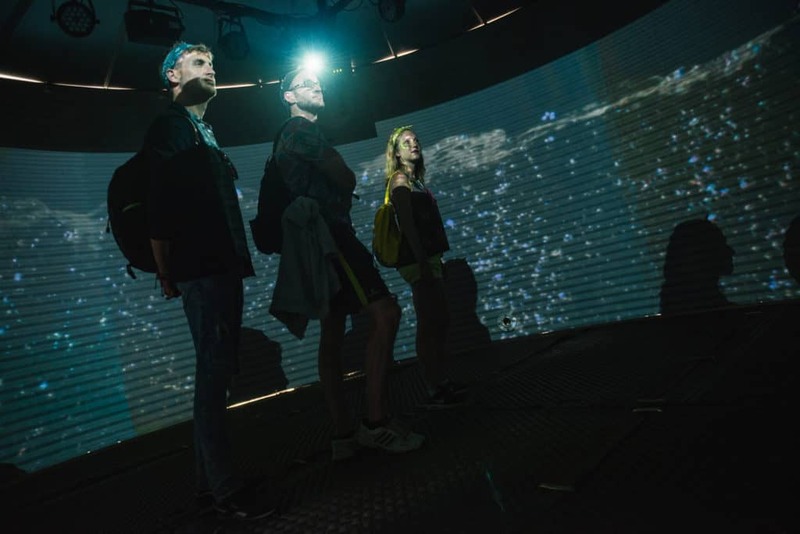 Turning the tank into an eye-catching, immersive, pop-up 360-degree cinema and sound installation, 59 worked with Oxfam to bring people closer to the amazing impact their charitable support can have. 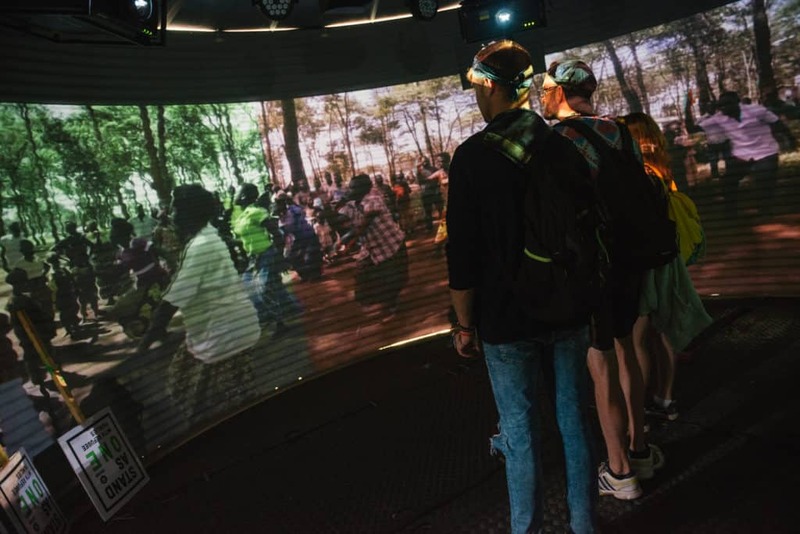 Using 360-degree footage filmed in the places that Oxfam works to change lives, visitors were transported to a variety of locations to share space with the people Oxfam helps around the world. A unique experience, the tank enabled guests to see and hear not only the difference Oxfam’s work makes but also what it means to the people they’re able to help. 59 partnered with award-winning animator and filmmaker Joseph Pierce to design the video content inside the tank. Joseph’s work has been screened at more than 30 festivals worldwide and his previous collaborations with 59 include work for Channel 4, the Met Opera and Danny Boyle’s Olympic Opening Ceremony. For more information, please visit www.josephpierce.co.uk.